Here at easymove removals London we take great pride in the job we do. Our committed team will do everything possible to make your move as hassle and stress free as possible. All moves are different which is why our team will plan your move around your timescales, needs and budget. We here at easymove removals London have a number of cost effective methods to keep your move as simple as possible. We can send out our removals team that have been operating in the London area since 2002. They will pack up all your goods for you safely and efficiently leaving you to either overlook or to just sit back and let us do the work for you. However our house removals London team do understand that you may have private belongings that you don’t want others to see, this is why we are more than happy to let you pack your own belongings, we will even send you all the necessary equipment such as boxes and tape to complete the job. 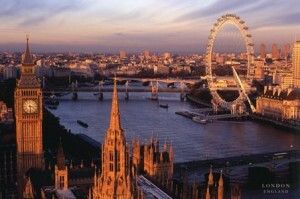 Our London removals company all have years of experience behind them and are fully qualified in all aspects of moving. In today’s competitive and financially difficult climate we here at easymove removals London feel your money should stretch as far as possible, this is why we continue to implement and explore new methods of service. In the unlikely event your possessions are damaged whilst loading, wrapping or in transit you will be insured up to the amount of £100,000. This insurance is included in your overall price. Our London house removals team are very confident that we will leave you fully satisfied and pleased with the work we will do. Full Monty- Our fully trained and uniformed team will arrive on your premises as early as possible or at which time you desire. They will then proceed to pack your premises for you quickly and efficiently. This will all be done in a matter of hours. The team will then load up the vehicle and secure all valuables, we will also supply furniture covers for sofa’s armchairs and mattresses. We will then transport your items to your new location and unload the boxes into the appropriate rooms, all your boxes will be checked whilst unloading to make sure of no damages. Once all the items are off of our vehicle and in the designated rooms we will then unpack the boxes for you ensuring you do not have to lift a finger on the day of your move. Fragile packing service- if we are informed prior to the move we can bring special equipment to protect your fragile and valuable possessions such as paintings, glass tables and other breakable valuables. This will keep your mind at rest whilst we are moving you. All fragile items will take priority on our vehicle and every provision will be taken ensuring their safety.